DALLAS and SANTA CLARA, Calif.– October 21, 2011 – Samsung Telecommunications America (Samsung Mobile), the No. 1 mobile phone provider in the U.S.1, and Samsung Electronics America today announced the upcoming availability of the Samsung Galaxy Tab™ 7.0 Plus featuring Peel Smart Remote TV application. Peel allows users to instantly find and watch their favorite TV shows and discover new shows based on their preferences, all with the tap of a screen. Offering a portable, rich multimedia experience on a 7-inch display, the Galaxy Tab 7.0 Plus packs power and productivity into a chic lightweight design, weighing just 345g and measuring 9.96mm thin. 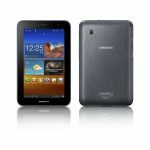 The Galaxy Tab 7.0 Plus runs Google AndroidTM Honeycomb platform, enabling an easy and intuitive user experience. 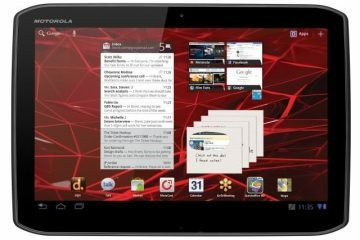 In addition, the Galaxy Tab 7.0 Plus delivers a smooth and intuitive user experience with powerful performance powered by a 1.2GHz dual core processor. Featuring built-in infrared capabilities, the Galaxy Tab 7.0 Plus can control the user’s home theater/TV setup. The Peel integration on the Galaxy Tab 7.0 Plus goes beyond the Peel application available for download today by no longer requiring additional hardware or cables for TV control functionality. Peel allows users to control any home entertainment system regardless of manufacturer. Peel displays personalized programming recommendations in an intuitive and content-driven graphical interface, completely eliminating the need to scroll through traditional channel-listing grids. The application’s home screen displays colorful thumbnail images of “Top Picks,” or favorite shows. Touch one of the thumbnails and the application displays what channel that show is on as well as a brief description of the episode that is playing. Simply tap “Watch On TV” and the Galaxy Tab 7.0 Plus will automatically change the channel to the selected program. Peel combined with the Galaxy Tab 7.0 Plus can control the entire home entertainment system, including the TV, set-top box, DVD, Blu-ray player and AV audio system. Peel will provide Galaxy Tab 7.0 Plus users with a social aspect as well, connecting them directly to Facebook and Twitter to share what they are watching with their social networks. 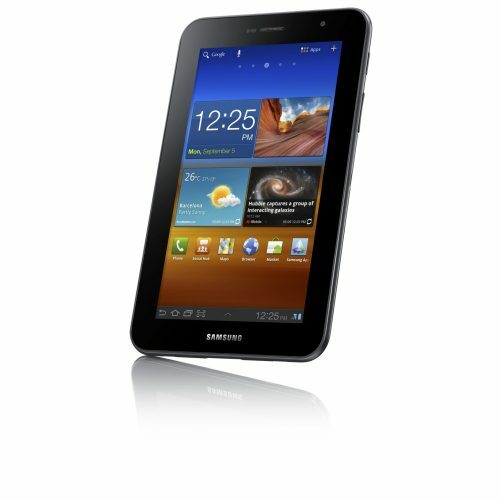 The 16GB Galaxy Tab 7.0 Plus will be available nationwide through Best Buy, Amazon, Tiger Direct, Fry’s and other fine retailers starting November 13th for $399.99. Pre-orders will begin October 23rd with select partners. Samsung’s relationship with Peel is part of Samsung’s overall commitment to convergence and the companies are working to integrate the Peel Smart Remote Application into future Samsung mobile devices. 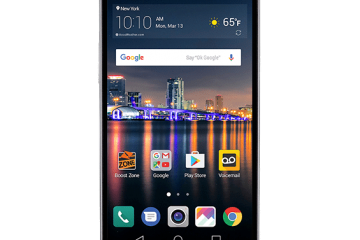 1 Number one mobile phone provider in the U.S. claim for Samsung Mobile based upon reported shipment data, according to Strategy Analytics, Q2 2011 U.S. Market Share Handset Shipments Reports.